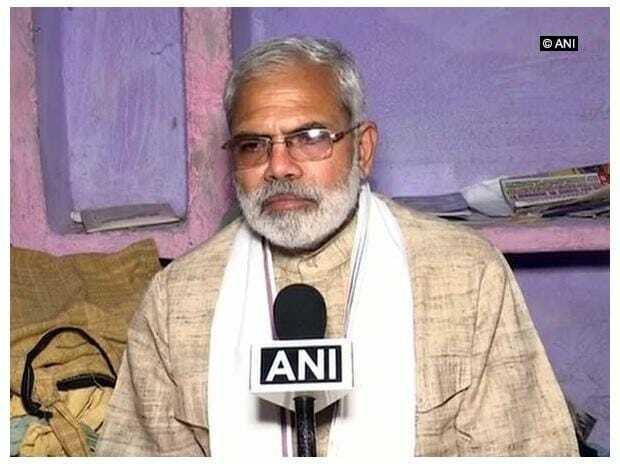 Prime Minister Narendra Modi’s look-alike Abhinandan Pathak, who is also contesting the Lok Sabha elections from the Lucknow constituency as an Independent candidate, has been served a notice for allegedly breaching the model code of conduct. After filing his nomination papers with the district election authorities on Friday, Pathak had freely interacted with the media. However, some of his statements were deemed as trying to influence/induce voters and thus violative of the model code of conduct in wake of the Lok Sabha polls underway. “We have taken suo moto cognisance of his statements, which were aired by some news channels. The notice was issued yesterday and was today served on him,” a district election official told Business Standard. Pathak has been given 24 hrs to reply to the notice failing which a case under the relevant sections of the Representation of People Act would be registered against him. In the run up to the 2014 Lok Sabha polls, Pathak had campaigned extensively in favour of Modi and Bharatiya Janata Party (BJP) across the country. He had also canvassed for the ruling BJP during the 2018 Gorakhpur bypoll in Uttar Pradesh after state chief minister Yogi Adityanath vacated his parliamentary seat following his election to the state legislature. The saffron party, however, lost the prized Gorakhpur seat to Samajwadi Party (SP) candidate Praveen Nishad, who was also supported by SP arch rival - Bahujan Samaj Party (BSP). However, Pathak grew disenchanted with the saffron party and joined Congress in the hope of getting the party ticket. However, when the Congress did not field him from any seat, Pathak decided to contest the general elections as an independent. Originally from Saharanpur, he now lives in Lucknow. BJP has announced the candidature of sitting Lucknow MP and union home minister Rajnath Singh from Lucknow. The polling in Lucknow is scheduled in the 5th phase on May 6. Sporting a gray beard akin to Modi, Pathak dresses like the PM in his signature kurta-pyjamas and imitates his oratory style, including the trademark reference of ‘mitron’ (friends). Pathak has turned into a harsh critic of PM Modi and attacks him over his promise of ‘acche din’ (better days) and the credit of Rs 15 lakh in the bank account of every Indian. Meanwhile, Pathak has announced that he would file his nomination from Modi’s constituency of Varanasi as well on April 26. Poling in Varanasi would be held in the last and 7th phase on May 19, before the counting of votes on May 23. Polling in UP will progress from Western UP towards the eastern region during successive phases on April 11, 18, 23, 29, May 6, 12 and 19. The seven phase polling would witness voting in 8, 8, 10, 13, 14, 14 and 13 constituencies respectively spread across 75 districts.